These links will help you find resources to help with your NHD project. Scroll down to find great places to do internet research. Remember...the judges are looking for balanced research, both primary and secondary resources are required. Don't limit yourself to just online research. You may not use Wikipedia or any other tertiary sources in your bibliography. Use books, articles, interviews, and historical archive collections when completing your research. The NHDC website is full of information about NHD in Colorado. Visit this website for details about the state contest, special awards, volunteering, etc. NHD National website has lots of useful tools, from samples of student work to archived webinars and how-to tutorials. You can make an appointment with a librarian at the Denver Public Library Central Branch to help you with your research. Currently, this website reflects last year's theme, but it should be updated soon. Knowing the rules can help you avoid problems as your create your project. The same set of rules are used from the regional level all the way to nationals. One of NHD's great partners, the Library of Congress boasts one of the largest digital collections of all things American. The website can be a bit difficult to navigate, so be sure to ask your teacher for help if necessary. The National Archives website is one of the largest research websites in the world. It holds many of our nations most important documents. Remember to site your source when drawing images/documents from any website. 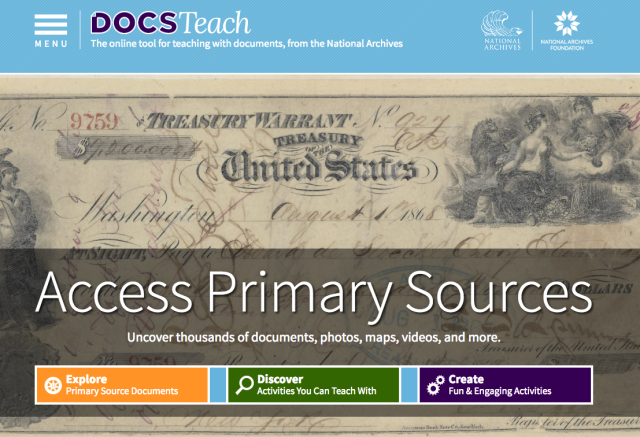 Designed to help teachers use primary sources in their classrooms, Docs Teach has many great primary sources available. This website is part of the National Archives digital collection. 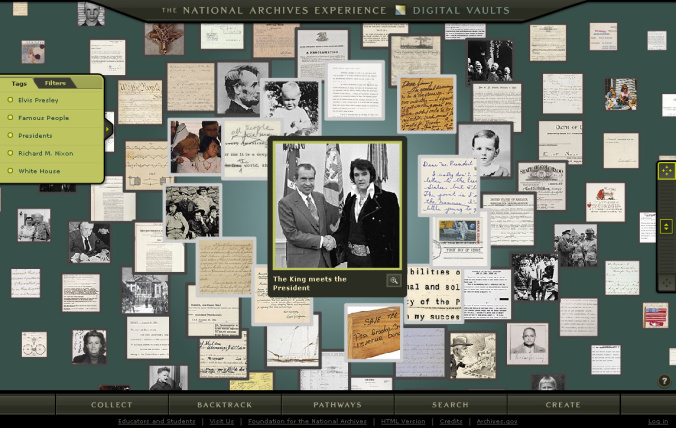 The National Archives Digital Vault is also part of the National Archives collection. This website is a stepping stone into the world of the Smithsonian Institution. This PBS web page has links to many movies about historical figures and events. While many of the films found here are documentaries, some are fictionalized. It is okay to use a fictionalized story in your research, but be sure you know what is fact and what is fiction, and check your facts. Fold3 has an extensive collection of military records. It is a commercial website, so they charge a fee, but they do offer a 7 day free trial that should allow you time to find what you need. 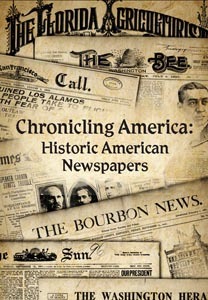 Chronicling America is a searchable collection of American Newspapers from 1789-1922. It is a great place to find primary source newspaper articles to support your project. This impressive digital collection boasts over 52,000 primary source items related to President Lincoln. This is the website for the History Colorado Center. The "Kids and Students" tab will lead you to their online exhibits and primary sources. The Stephen H. Hart Library and Research Center hosts the archives of the Colorado Historical Society. If you are working on a Colorado topic, the best way to make use of the archive is to visit. This website will help you prepare. The Western History Collection at the Denver Public Library houses one of the largest collections of photography, newspaper articles and other primary source documents. This website features a searchable database of newspaper articles from Colorado newspapers from 1859 to 1923. Searching local newspapers can help you get a local perspective about the impact of your event/person. The Colorado State Archives is another facility that is best accessed in person. Their collection consists mainly of primary sources related to the government of the state of Colorado. This digital collection holds over 690,000 items related to the mountain west region. 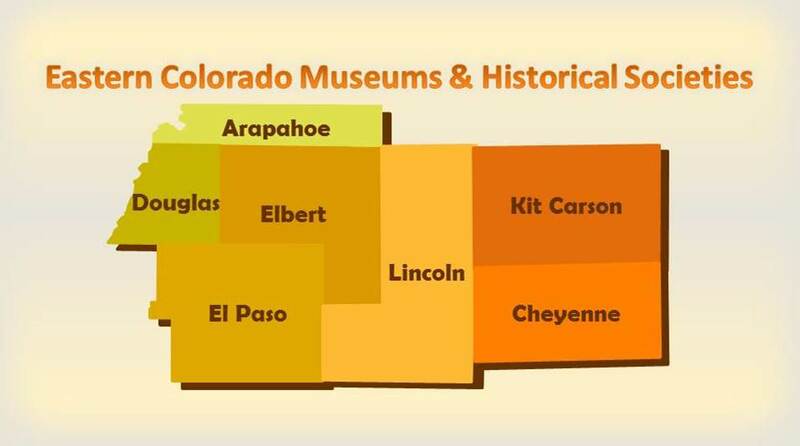 This website offers access to small museums and archives on Colorado's Eastern Plains.